Kimberley Ahrens joined CCGD in 2013 as Conductor of the Apprentice Chorus. Ms. Ahrens is the Director of Choral Activities at Robinson Middle School in Plano, where she runs a highly successful middle school choral program, conducting over 300 students in a total of nine performing ensembles. She is also the Director of Children's Choirs at the Episcopal Church of the Transfiguration in Dallas, TX. Ms. Ahrens serves as an active clinician and adjudicator throughout the state. Ms. Ahrens earned the Bachelor of Music Education with Vocal Emphasis from Texas Christian University. She holds Level I certification in Kodály method from the University of North Texas. 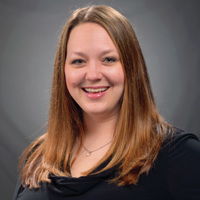 Ms. Ahrens holds affiliations with the Texas Music Education Association, American Choral Directors Association, Texas Choral Directors Association, and the Choristers Guild.